Little Treaddow Farmhouse near Ross on Wye in Herefordshire offers 4 star Bed & Breakfast accommodation in a 300 year old former malthouse. Overlooking the Welsh mountains, Little Treaddow Farmhouse is convenient for the M50 motorway and is the ideal B&B for exploring the near-by attractions such as Nelson Museum, Great Western Railway Museum, Hereford Cathedral and Goodrich Castle. 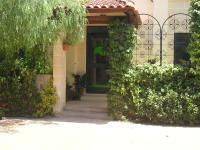 Selmunett B&B has a quiet setting on the edge of Naxxar, just a 10-minute drive from the beaches of St. Paul's Bay. The rooms all feature views of the garden as well as free Wi-Fi and an LCD TV. An outdoor pool is available. Rose Park House Bed & Breakfast provides quiet, spacious en-suite rooms with Wi-Fi, Digital TV/DVD and secure off-street parking. Guests have access to a spacious lounge, dining room and the patio/garden. Les Chuquets is a family-run Bed & Breakfast in the Massif du Sancy mountain range of Le Mont-Dore and Super Besse in France. The stunning location is perfect to experience the best skiing, hiking and biking holidays in France. Les Chuquets is open all year for Full, Half Board and Bed & Breakfast accommodation, and skiing, hiking, biking holidays. Les Chuquets has luxury en-suite bedrooms and a full range of meals available.